There are so many things I love about winter. I love how cozy a warm house is when you come in from the cold. I love watching Christmas movies by the fire and baking cookies. However, the number one thing I LOVE about this season is the time I get to share with friends and family. 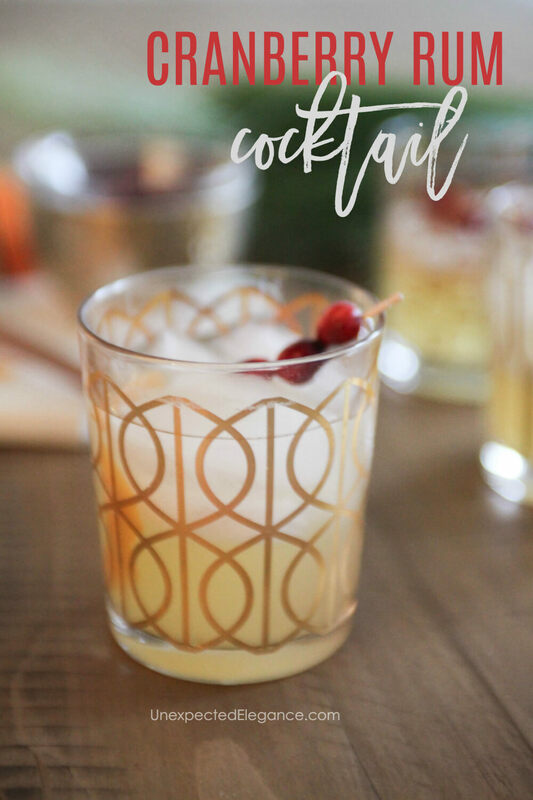 People tend to spend more time indoors and “gather.” Parties are the norm with lots of food and drinks, so I like having a go-to, fun, and easy seasonal cocktail on stand-by! 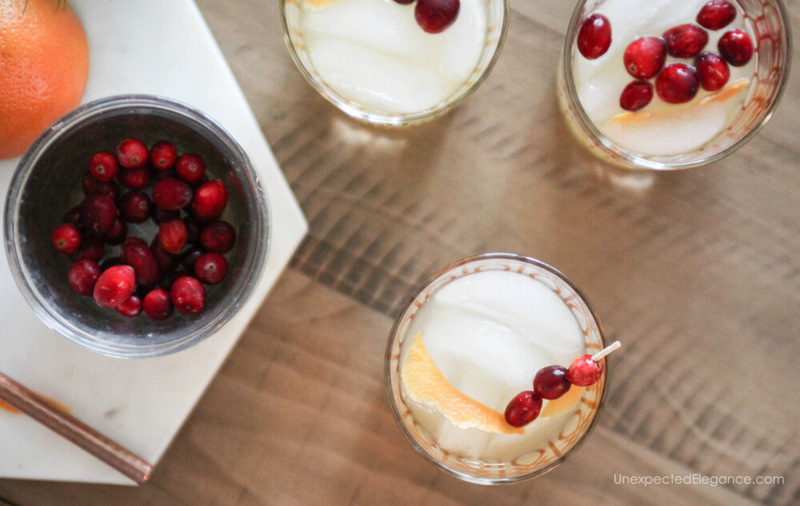 Cranberries are such a festive fruit and great to use for the holidays. Combine their tart flavor with rum and you have a winner. 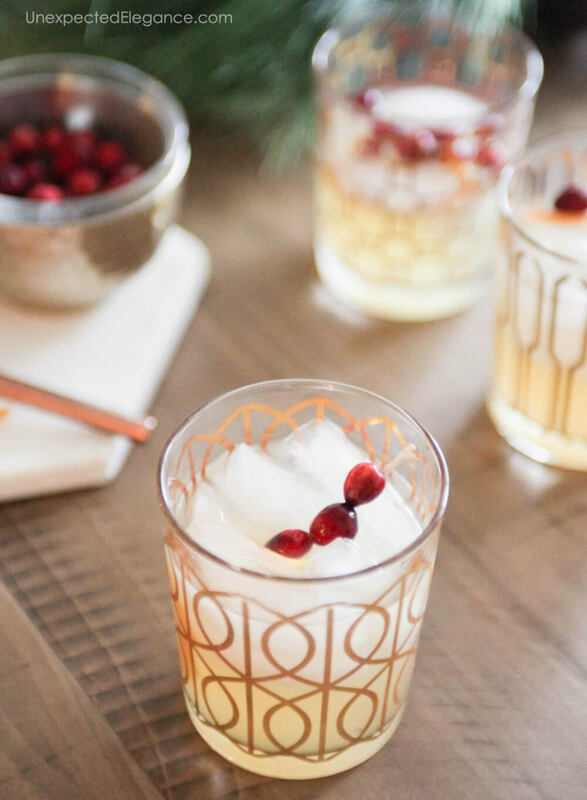 This drink is SO good and is sure to be a hit! Shake to combine all the flavors. Strain over a glass of ice. 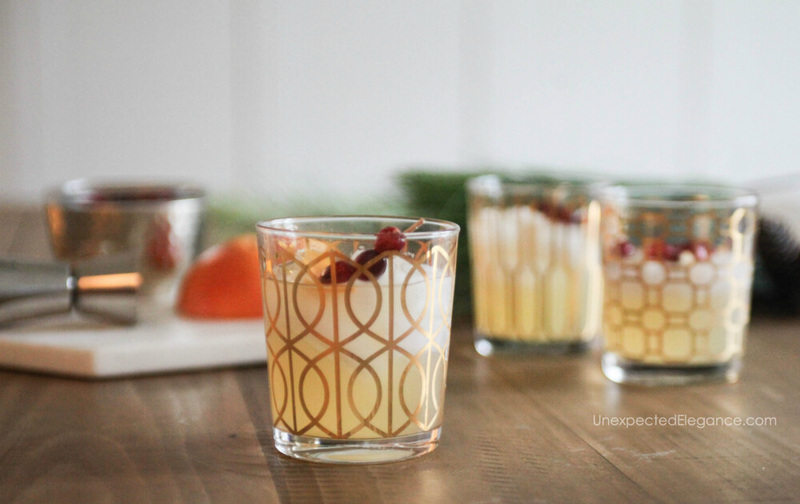 Garnish with a few cranberries and orange peel. Depending on how sweet you like your cocktail, will depend on the ratio of cranberry juice to rum. Start with 3/4 cup and add more if needed. I prefer to use white cranberry juice over red because I feel like it has a more crisp flavor and isn’t quite as tart. However, feel free to substitute. I think the most important ingredient in this cocktail is the rum. I suggest Don Q Gran Añejo, an aged Puerto Rican rum. Don Q is the only rum company that uses aged rum in all our rum products, including their flavors, and only natural ingredients. Which means, no additives, artificial sugars or coloring! Don Q Gran Añejo is a super premium rum first aged in American white oak barrels, and then carefully aged in Spanish sherry casks using the Solera aging system for up to 50 years. In the subtle aroma, you can identify hints of vanilla and dark caramel, originating from the prolonged contact of the rum with the barrel. 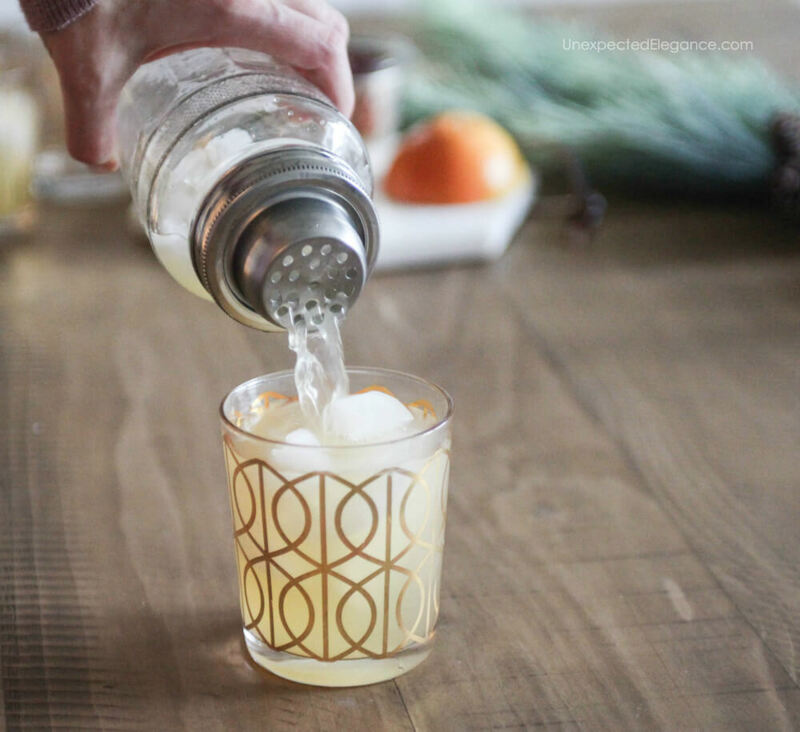 It’s perfect for cocktails but is also great as a sipping rum to be enjoyed neat or on the rocks. It pairs well with steaks, lamb, prime rib or any grilled meats. Don Q rum is also known for their quality. They’ve invested significant time, knowledge, and resources in making their distillery one of the most environmentally responsible and greenest in the spirits industry. They not only benefit from a real energy return and useful post-production materials, but they are one of the few distilleries in the world that don’t dispose wastewater in the ocean! I LOVE that their business model is helping protect our environment…while still keeping all the flavors of a great rum. 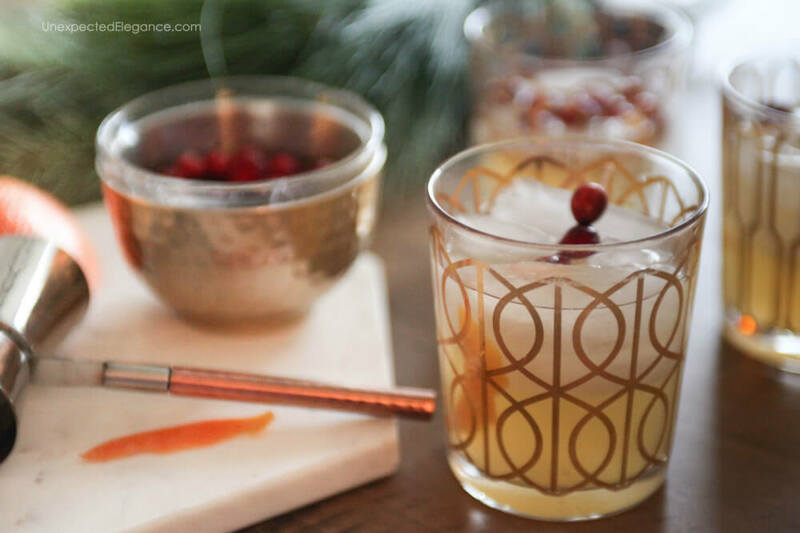 What is your favorite cocktail recipe this time of year?? I’d love to try it, so please share it in the comments below. « A Magazine Christmas…Do you REALLY want it?